RIO DE JANEIRO, BRAZIL – Passengers on Air France flight AF445 from Rio to Paris have finally reached the French capital after their plane was forced to make an emergency landing in Morocco on Friday. The 201 passengers had left Rio’s Galeão International Airport late the previous day. This is not the first incident involving an Air France-operated A330-200, as used on flight AF447, photo by BriYYZ/Flickr Creative Commons License. In accordance with company regulations, the engine in question was shut off and the aircraft redirected to the nearest airport. An Air France investigation is already underway to determine exact that caused the defect. Reports say passengers endured a “climate of panic” on board; emergency services were waiting for the aircraft as it arrived in Casablanca. Air France sent a replacement plane, but some passengers decided to fly on other routes to get home. The Air France emergency has drawn particular attention following the fatal 2009 accident involving the same Rio-Paris flight and same Airbus aircraft type, which killed all 216 passengers and twelve crew on board after disappearing from radar over the mid-Atlantic. It was the deadliest accident for both France and the company. In October 2012, it was reported that TAM flight JJ8055, from Paris to Rio, also flown on an Airbus A330, was forced to turn back to Charles de Gaulle Airport in Paris just seventeen minutes into the flight after developing motor problems. I’m a regular flyer to Rio but usually out of London. 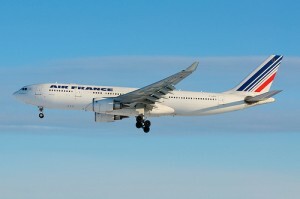 I have flown Air France from Paris to Rio in the past and found the flight was very very good. Food was top class….and this was in economy. Better food and service than TAM as a comparison. However I will not fly with them again as I don’t trust the maintenance of there aircraft. The world saw how Air France tried to cover up its mistakes in the earlier Rio to Paris crash. I trust British Airways more and fly with them…..not as good food but I can live with that. the brazilian government should think very well before buying european planes (rafale, saab) for the air force. f-18 is a product of the american boeing and it makes a difference. airbus has a respectable list of accidents and incidents to care of. I was scheduled to fly with AF 445 18 October from Rio to Paris. That day the flight was more than 12 hours delayed due to technical issues. It can seem strange that the same flight has additional problems even though it must have been on some sort of observation list due to the issue it had already the 18th October.